Spend a thrilling hour in the Amazon jungle fighting to survive native headhunters. You'll have 1 hour to escape a bamboo prison, find your way out of the jungle, navigate the natives village, and secure the Elixir of Kapok before it's too late. 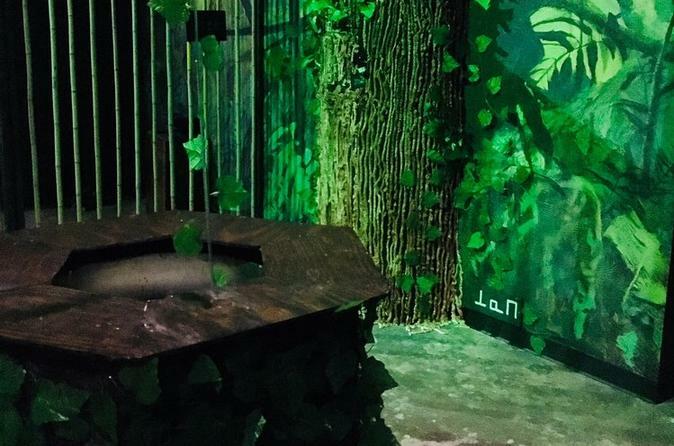 This escape room is all about immersion and a unique mix of puzzles never seen before. Best of all, it happens in the heart of Charlotte's thriving brewery district making it the perfect way to start an evening or spend a weekend afternoon.